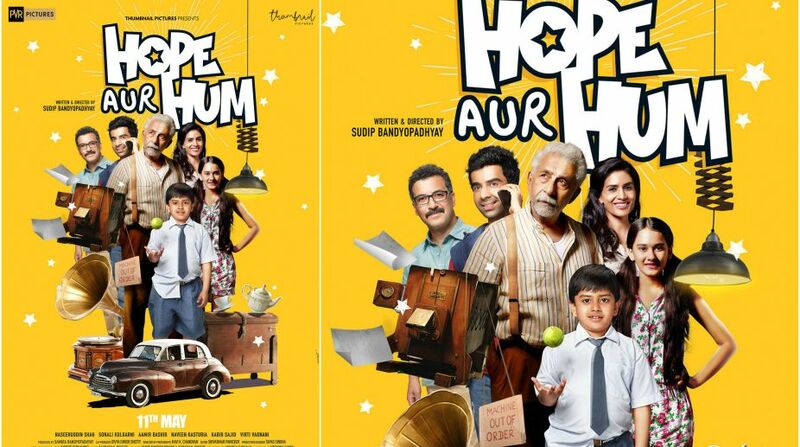 Hope Aur Hum which stars Naseeruddin Shah, Sonali Kulkarni, Naveen Kasturia, Kabir Sajid, Aamir Bashir and Virti Vighani trailer was launched last evening (April 23). In the trailer of 2 minutes and 11 seconds, the trailer has provided with endearing emotions of a human. The story is a reminiscent tale of a family in Mumbai The story is a reminiscent tale of a family in Mumbai whose lives are explored through an endearing cinematic journey. The plot revolves around the Srivastava family whose lives are affected by the senior most member of the family, Nagesh (Naseeruddin Shah) whose obsession with his traditional copying machine, called Mr. Soennecken, starts to take a toll on the relationship of the entire family. It’s a simple story of human emotions explored through the intertwined lives of each family member. With the family revolting against Nagesh’s old ways, the film tells the tale of the transition between the old and the new, explored through the ideas and idles of three different generations. Hope Aur Hum is produced by Thumbnail Pictures which will release on May 11, 2018.